I've bought a lot cars in my lifetime, but this was by far the best experience I've had. Lucy Monson and Scott Cobb were awesome to work with. No pressure at all from either of them. I will definitely be going back to them for my future car needs!!! I was treated like a VIP from the beginning all the way through to leaving with anew car. 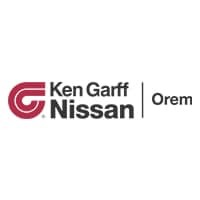 We have always received great service at Ken Garff Nissan. We own two Nissans and when the time comes to replace them, this is the first place we will look. Nothing, everyone was so professional explaining step by step what needed to be done, in general outstanding work! Marc in service department was very knowledgeable about our Pathfinder, Oil change was done in 40 minutes with correct oil. answered questions about rear hatch foot actuator problems. Lucy is the BEST SALES WOMAN EVER! I will go back to her every time. Honest, helpful, and caring. This was the best car buying experience I have ever had! It's all thanks to her. Nathalie Smith was a great saleswoman and helped out a lot I appreciate everything she did. Thanks! !